Boer Architects, Inc. provided all architectural, interior design, and engineering services for this 900 sf active learning classroom improvement project. This project remodeled an underutilized classroom in MATC’s Downtown Milwaukee Campus Main Building to create a state-of-the-art active learning classroom. The program for design for the new Accounting Lab required a flexible and interactive layout more conducive to modern teaching methods. Work included new floor finishes, acoustic ceiling systems, wall finishes, new furniture layout, HVAC, lighting, tele/data and power distribution systems. An existing original wood strip floor and wood sleeper system was removed and a new concrete floor was poured. Boer Architects, Inc. staff also coordinated all work provided by structural, HVAC and electrical engineering consultants. Services included design, construction document and construction administration services. Boer Architects, Inc. provided all architectural, interior design, and engineering services for this 3,600 sf laboratory alteration project. The project built out rooms 108 and 108B to create a new Science Maker Space at MPS’ Marshall High School. The Science Maker Space includes both a laboratory area and a lecture area. There is also a centrally located instructor’s station that is used for demonstrations. A prep and storage area was expanded to hold materials, models and provide proper safety storage. Work provided new floor finishes, acoustic ceiling systems, drywall partitions, doors, frames, cabinetry, countertops, student work stations, accessible fume hoods, flat screen TVs and upgrades to plumbing, HVAC and electrical systems. Boer Architects, Inc. provided all architectural, interior design, and engineering services for this 2,200 sf laboratory alteration project. The project built out rooms M474, M476 & M478 to create a new Biology Lab Complex at MATC’s Downtown Campus Main Building. The new Biology Lab Complex has a group style/pod style lab layout that provides the students with a better learning and support environment. A prep and storage area was expanded to hold materials, models and provide proper safety storage. Work included new floor finishes, acoustic ceiling systems, drywall partitions, doors, frames, cabinetry, countertops, student work stations, accessible fume hoods, high density storage, flat screen TVs and upgrades to plumbing, HVAC and electrical systems. Boer Architects, Inc. provided all architectural and interior design services for this 20,000 sf $600,000 collaborative learning laboratory and classroom alteration project. The scope of work included new trench drains, epoxy floor, and paint. Retractable cord reels were provided for compressed air, power, LED trouble lights, and exhaust for each lift. Boer Architects, Inc. also coordinated all work provided by structural, plumbing, HVAC and electrical engineering consultants. Services included design, construction document and construction administration services. Boer Architects, Inc. completed the renovation of Lincoln Hall on the University of Wisconsin Oshkosh (UWO) campus. Lincoln Hall, a former elementary school within the Oshkosh Area School District, was acquired by the UW System in 2010, and after renovation, now provides a new facility to house two existing UWO user groups: the Children’s Learning and Care Center (UWO’s campus daycare facility) and the Division of Lifelong Learning and Community Engagement, which provides programs and support services for nontraditional students and adult learners. The scope of work included a complete 34,000 sf, $4.3 million interior remodeling, including abatement of hazardous materials, demolition and reconfiguration of restrooms, interior partitions, new interior finishes and fixtures, office systems, accessibility upgrades, exterior door and window replacement, building envelope repair, upgraded HVAC, plumbing, electrical systems, and installation of a new fire sprinkler system. Site work included construction of a new playground area for the daycare, as well as connection to the campus fiber optic and chilled water utilities. 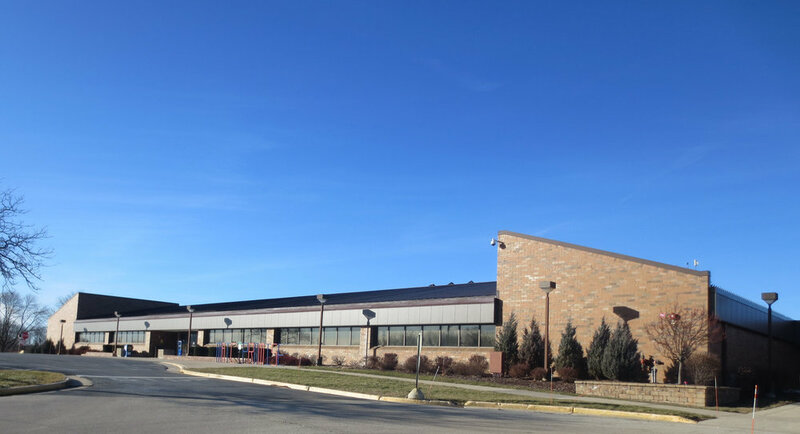 This project added a 20,000 sf, two-story addition which included a library, multipurpose room/cafeteria, warming kitchen, toilet rooms, two classrooms, a two-stop hydraulic elevator, storage and equipment space. Approximately 3,000 sf of existing space was renovated into additional classrooms. Boer Architects, Inc. also coordinated all work provided by structural, civil, plumbing, HVAC and electrical engineering consultants. Services included design, construction document and construction administration services. The project was delivered through the traditional design-bid-build delivery process and has received LEED Silver certification from the GBCI. This project involved the complete demolition and remodeling of the existing dining room, student groups offices and conference rooms at the Student Services Building at MATC’s Downtown Milwaukee campus. The new space included a soft lounge, game room, bookstore retail outlet, internet café and new and expanded dining spaces. Architectural work included demolition, metal studs, drywall, acoustic ceiling tile, glass walls, carpeting, porcelain floor tile and base, hollow metal door frames, wood doors and sliding security gates. Plumbing, fire protection, HVAC and lighting systems were completely updated. 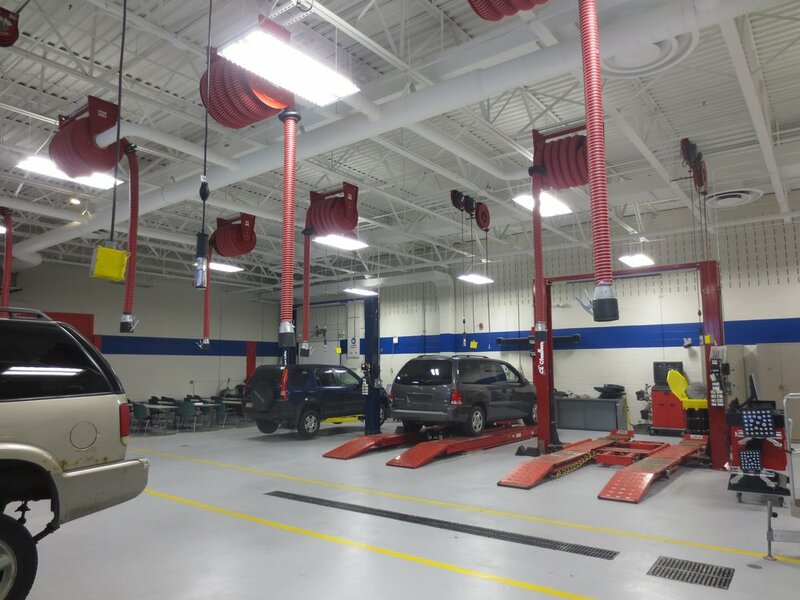 These modernization efforts will allow MATC to better serve their students’ and staffs’ educational, recreational, social and administrative needs. The new internet and lounge spaces allow connectivity and interaction not previously available in the Student Center. Boer Architects, Inc. remodeled the student bookstore and retail outlet in Moraine Hall at UW – Whitewater in 2008. The 22,000 sf project involved a roof replacement, exterior window and door replacement including all frames, complete interior upgrade and redesign of the retail and bookstore, new accessible men’s and women’s restrooms, new loading dock and installation of a new two-stop hydraulic elevator, masonry shaft and elevator equipment room. The restroom upgrade included new plumbing fixtures, fittings, accessories, floor and wall tile, toilet partitions, lighting, and exhaust. All work was ADA compliant and met current UW standards. In addition, HVAC, plumbing, fire protection, lighting and power distribution systems were completely upgraded. As a full-service architectural and interior design firm, Boer Architects, Inc. has extensive experience in retail, restaurant and hospitality design. It also has a broad background in renovation and adaptive reuse projects. These areas of expertise came together successfully on the Moraine Hall project. This was an outstanding collaborative effort with the Division of Facilities Development and Management, University of Whitewater campus administration, Miron Construction Company, bookstore management, staff and student groups. It is an example of public and private entities effectively teaming together to provide a world-class facility for the University of Wisconsin. Work involved the complete removal of 35,000 sf of synthetic sports flooring and underlying concrete floor slab and installation of new floor slab and hybrid strip maple and synthetic sports floor system. Fieldhouse alterations also included new bleachers, lighting, sound system, and wall and ceiling paint. All existing exit doors and frames to the fieldhouse were replaced with new FRP doors and metal frames. Fieldhouse addition included new weight room, training room, girls’ varsity locker and shower room, long jump pit and storage. Addition also included an elevator which provided accessibility to a new press box. Boer Architects, Inc. also coordinated all work provided by plumbing, HVAC and electrical engineering consultants. Services included design, construction document and construction administration services. Boer Architects, Inc. provided all architectural and interior design services for this 9,000 sf $1,200,000 laboratory alteration project. Work involved converting underutilized and obsolete classroom space into six, state-of-the-art nanotechnology research laboratories. New ceilings, lighting, exhaust hoods, metal stud and gypsum board partitions, cabinets and countertops were provided. A BSL-2 lab and clean room were also added. 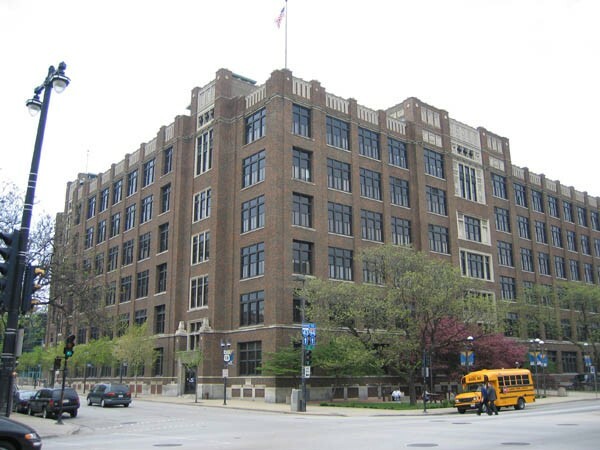 A major challenge was to renovate the 7th floor of the EMS building while maintaining vital MEP services to the remainder of the high rise educational facility. Boer Architects, Inc. coordinated all work provided by structural, plumbing, HVAC and electrical engineering consultants. Services included design, construction document and construction administration services. These improvements demonstrated Boer Architects, Inc. ability to work effectively with UW-Milwaukee Facilities Department and staff at the Engineering and Mathematical Sciences building. This exciting project involves the adaptive reuse of the historic Lecture Hall Room 165 at UW-Madison’s Bascom Hall. In keeping with the UW-Madison Master Plan, academic space in Bascom Hall, including Lecture Hall Room 165, is being converted to administrative office space. The 3,000 sf lecture hall, currently in the Construction Development Phase, will provide new space for 8 private offices, conference room, reception area, copy room, kitchen and mechanical room. An adjacent 700 sf public corridor will also be renovated to provide a reception/waiting area that will be shared with existing adjacent offices. Historic features in Room 165, including the coffered ceiling, windows and entry doors, will be retained and restored. Challenges included the requirement that the renovated space be able to return to its original historic use as a lecture hall, if ever required in the future.